Food for Life are joining Jamie Oliver in campaigning for the introduction of a healthy rating scheme in schools. In a recent episode of 'Jamie and Jimmie’s Friday Night Dinner', the pair visited a primary school in East London to see the inspiring work they do to help keep pupils healthy. But with National Obesity Awareness Week upon us, this is a timely reminder that although there are caterers making real food for kids a priority, there is still work to be done to give the next generation a chance at forming healthy lifestyle habits. School food has been transformed over the last decade. The era of the turkey twizzler may be behind us, but the past ten years have seen a sharp increase in the availability of highly processed foods, and this has resulted in a generation of severely overweight kids. Today, obesity levels in the UK continue to grow. Over two years ago, the government vowed to tackle obesity in kids by introducing a healthy rating scheme for primary schools. The scheme would focus on promoting healthy food both in the dining hall and out, by supporting healthier eating, physical activity and the shaping of healthier habits. It would also be linked to Ofsted inspections ensuring that school food is a priority for school leadership. But our kids are still getting fatter, one in five pupils are obese by the time they leave school, and yet there is still no sign of the promised healthy rating scheme. It’s becoming increasingly urgent that the scheme is rolled out so that we can give our kids the support they need to make healthy lifestyle choices. The healthy rating scheme was proposed in the government’s 2016 obesity plan. It would demonstrate that schools are taking evidence-based actions to make healthy choices easier for pupils. For the past decade, we’ve supported schools to organise farm trips, cooking and growing clubs for pupils and their families, and serving freshly prepared meals that make good food appealing. And it works. Pupils in Food for Life schools eat a third more fruit and veg than in comparison schools, and more vegetables at home. They are also twice as likely to be getting their five a day than children in comparison schools. 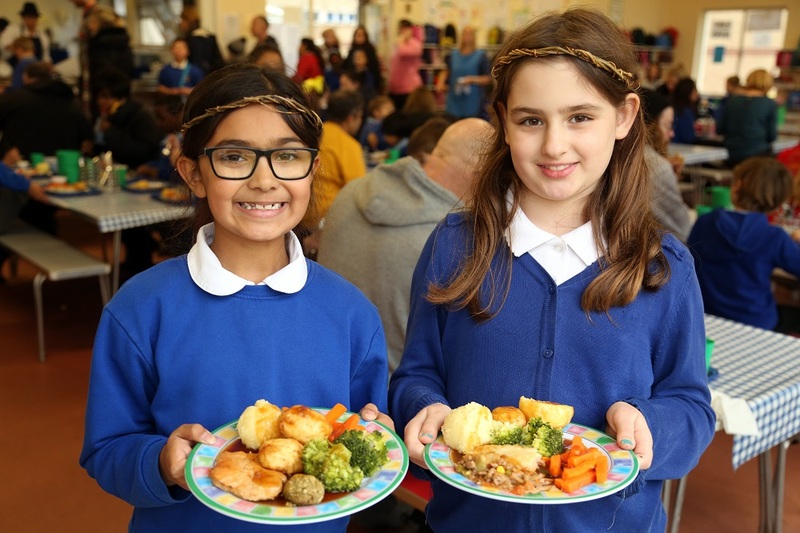 Rob Percival, Food for Life Head of Policy, has said: “The Healthy Rating Scheme offers a timely opportunity to fully involve all schools in the mission to halve childhood obesity by 2030, and to transform the way that children eat. These are tough times for school caterers, with the cost of fruit and veg sourced by caterers soaring by 20% in 2018. Our State of the Nation report revealed that cold ‘pick and mix’ lunchbox options are being introduced instead of hot meals in an attempt to cut costs. “2018 will be the tipping point for school meals,” one caterer said. Healthier items such as fresh fruit and salmon are being removed from menus in favour of more affordable but less healthy items such as puddings and biscuits. Action must be taken, and we’re putting pressure on the Department of Education, campaigning with the School Food Plan Alliance and Jamie Oliver for the swift introduction of an ambitious and robust healthy rating scheme.